I love them. :) I really like how you pick a color for each picture you make and keep it throughout the whole thing. 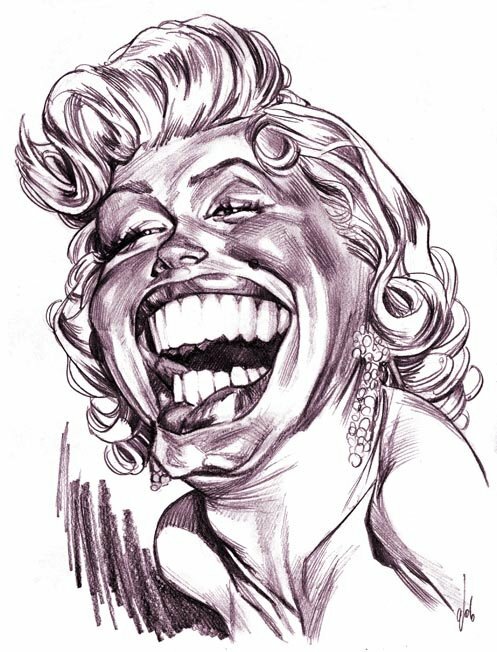 I especially like Marilyn Monroe. In my opinion, you succeeded! I prefer Jame Dean, I like the shadows on his face. just simply great Chris!! 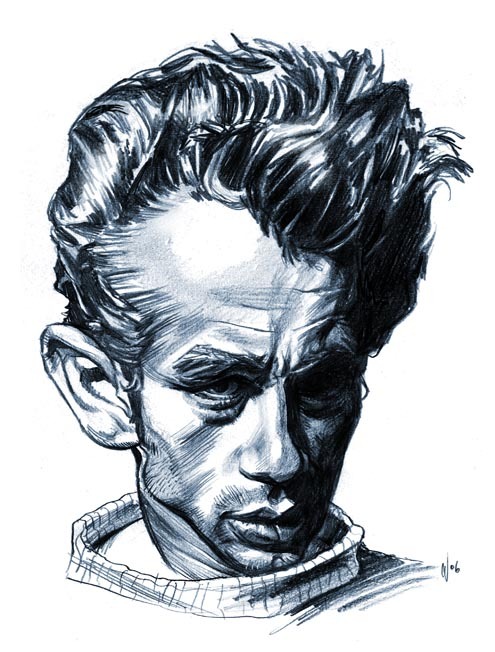 i love the look on James Dean.. good work! Liked the side by side contrast in expressions. very cool as always. How long did you work on your caricatures? Is that all just for fun or remittance work? Ben- Thanks! Yeah you don't see a whole lot of caricature in deep shadow. Thought I'd give it a go. Brian- I originally planned it as a trio of pictures with Elvis being the third, but didn't get around to it. I'm still itching to draw him though. He should be a challenge. Yavuz- They each took about 60minutes each. They were just done for fun. Hope to see you back posting after your house move. I love the Marilyn one. It captures the essence of her. Good work!